Swift Global Cluster  is a feature that allows Swift to span across multiple regions. By default Swift operates in a single-region mode. Setting up Swift Global Cluster is not difficult, but the configuration overhead is as usual very high. 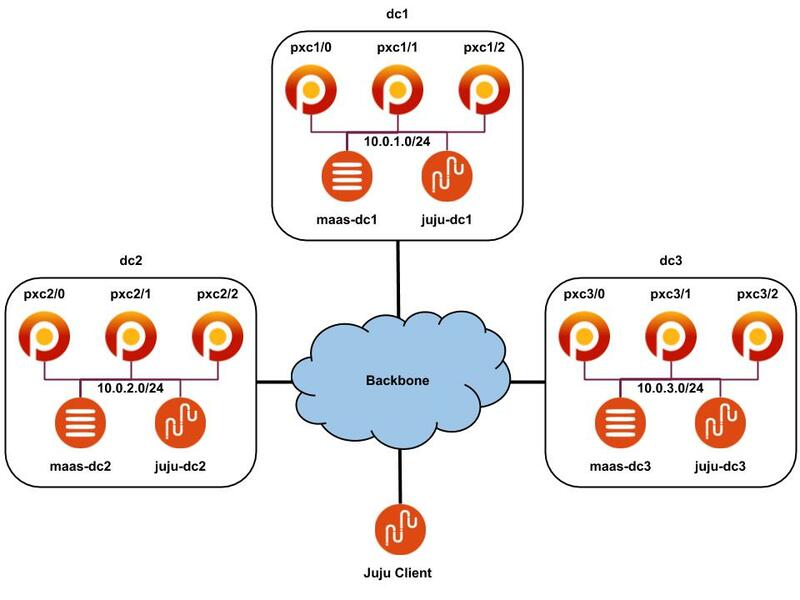 Fortunately there are application modelling tools like Juju  available which facilitate software installation and configuration. I have recently added support for Swift Global Cluster feature to Swift charms . In the following article I will present how to setup Swift in multi-region mode with Juju. Each node will host Swift storage services and LXD container  with Swift proxy service. Swift proxy will be deployed in the HA mode. Each node belongs to a different zone and has 3 disks: sdb, sdc and sdd for object storing purposes. The end goal is to have 3 replicas of the object in each site. P.S. : If you have more than two sites, don't worry. Swift Global Cluster scales out, so can easily add another regions later on. NOTE: Make sure you use Juju version 2.5.1 or later. Note that we mark all storage nodes in dc1 as Swift region 1 and all storage nodes in dc2 as Swift region 2. The affinity settings of Swift proxy application will be used to determine how the data will be read and written. This takes a while. Monitor Juju status and wait until all units in both models enter the active state. This setting together with the affinity settings will cause that in each site 3 replicas of the object will be created. At this point we have Swift Global Cluster configured. There are two sites and each of them is acting as a different Swift region. As each node belongs to a different zone and the replication factor has been set to 6, each storage node is hosting 1 replica of each object. Both proxies can be used to read and write the data. Such cluster is highly available and geo-redundant. This means it can survive a failure of any site, however, due to an eventual consistency nature of Swift, some data can be lost during the failure event. Not that this should be used with an extra caution. After that another regions can be deployed based on the instructions from the previous sections. Don't forget to update the affinity settings when deploying additional regions. As I don't have time today, this is going to be one of the shortest posts in this blog. But I really want to save it as I've already spent a couple of hours trying to figure it out. So to make the long story short I reinstalled my laptop with Ubuntu Bionic and my Samsung Xpress C480W scanner stopped working. Nooooo! The following part contains step-by-step instructions to install and configure Candid in the HA mode. All services are set on LXD containers with Ubuntu Bionic. It is assumed that LDAP is used as the Identity Provider. NOTE: Replace IP addresses with IP addresses of all containers and IP addresses reserved for Candid and PostgreSQL VIP. NOTE: Replace IP addresses with IP addresses of candid-ha-1 container. NOTE: Replace IP addresses with IP addresses of containers. 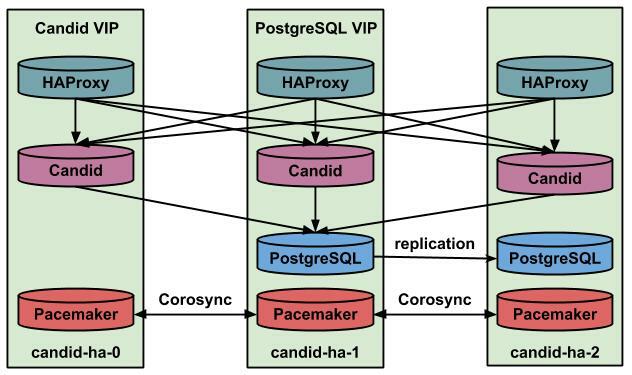 NOTE: Replace IP addresses with IP addresses reserved for Candid and PostgreSQL VIP. # su postgres -c "createuser candid -P"
# su postgres -c "createdb candid -O candid"